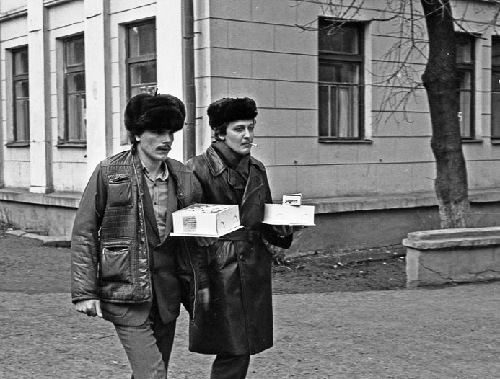 Cake in the USSR was more than the cake. 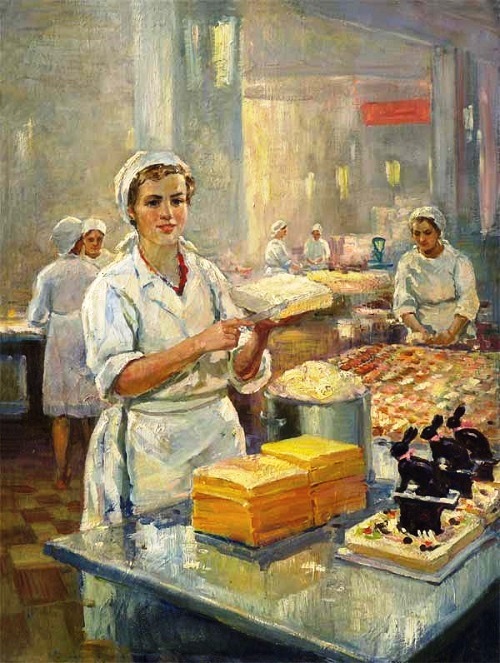 It was the crown of the feast, the apogee of prosperity. 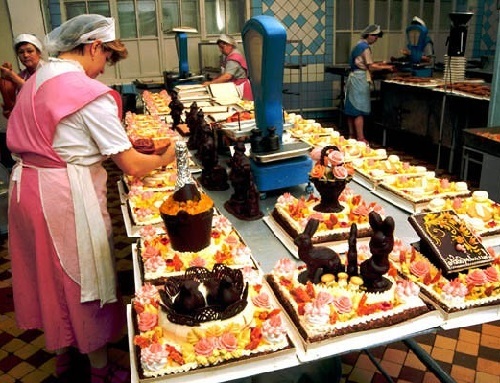 So it consisted of everything and more: a lot of biscuits, nuts, jam, cream, with pink, white and green roses on the top. 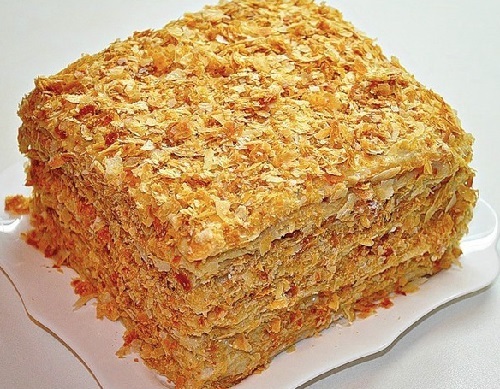 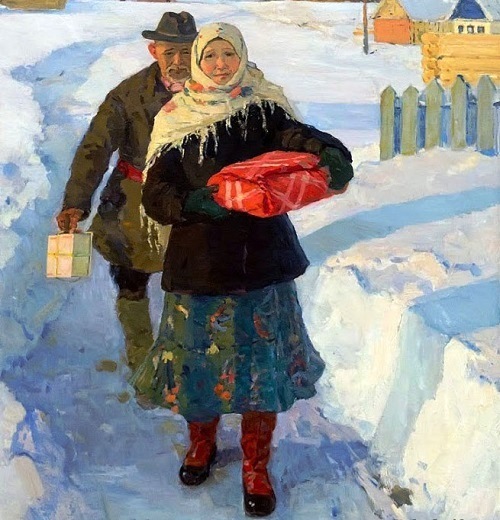 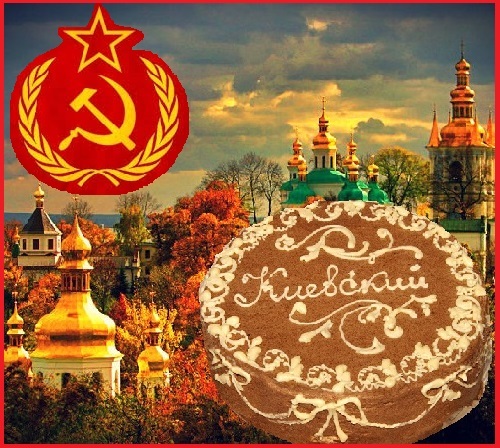 Soviet people enjoyed various kinds of cakes – Prague, Kolos, Napoleon, Ptichye moloko (Bird Milk), Skazka (Fairy tale), Tatarstan, Funnel cake, but most popular was Kiev cake, which became the USSR brand cake. 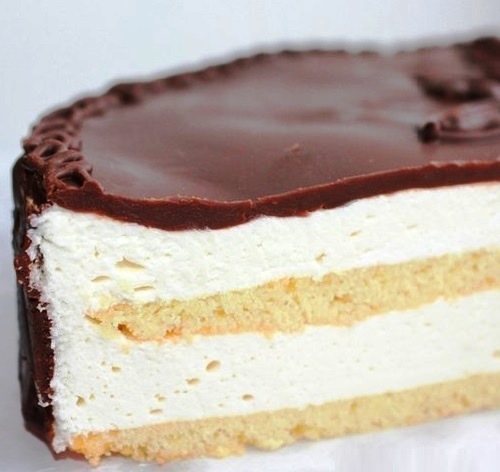 The two-layered cake consisted of hazelnuts, chocolate glaze, and a butter cream. 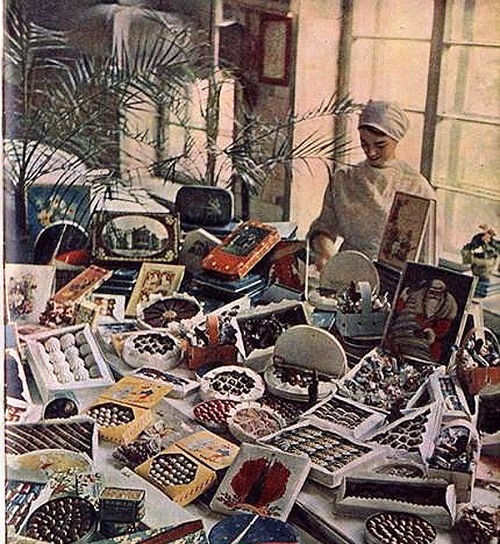 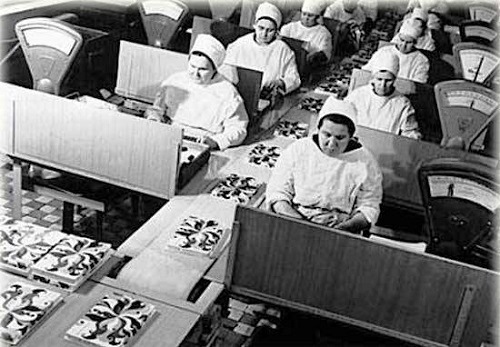 It was made in Kiev, Ukrainian Soviet Socialist Republic since December 6, 1956 at the Karl Marx Confectionery Factory. 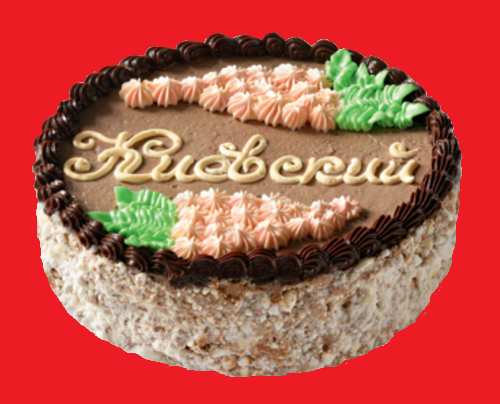 Popular all over the USSR, the cake was the symbol of Kiev city, and the cake package depicted the coat of arms of Kiev – chestnut leaf. 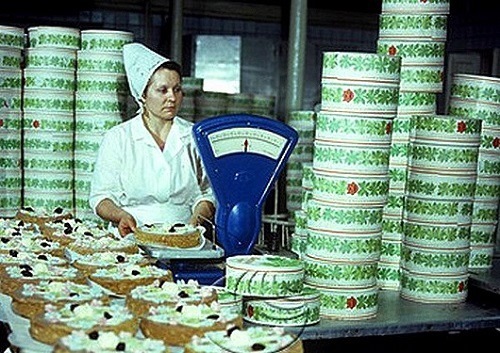 Few can argue, that cakes made in the time of the USSR were much tastier than they are now. 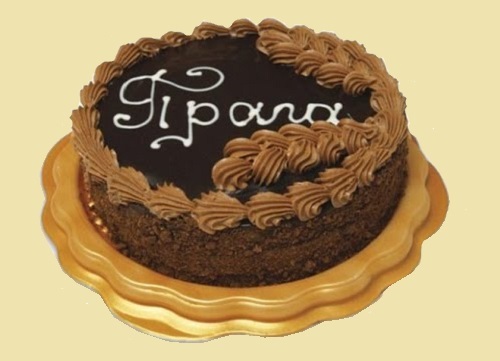 Just a fact. 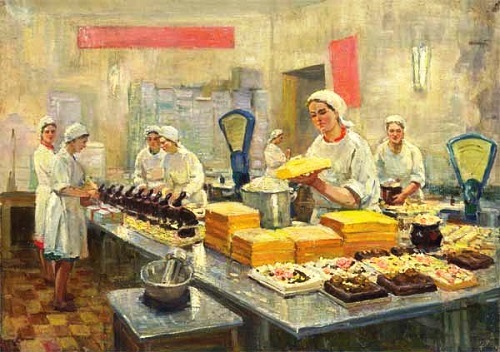 The biggest Kiev cake was made as a gift for the 70th anniversary of the General Secretary of Communist Party of the USSR Leonid Brezhnev, whom appreciated such a gift very much. 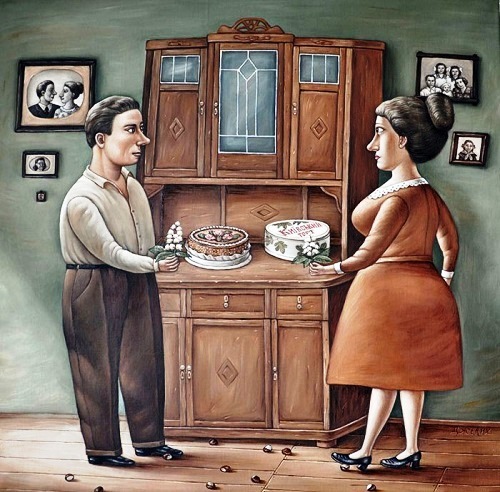 The anniversary cake was 5 kg, had as many as three levels, and it took about 70 cakes of meringue for it. 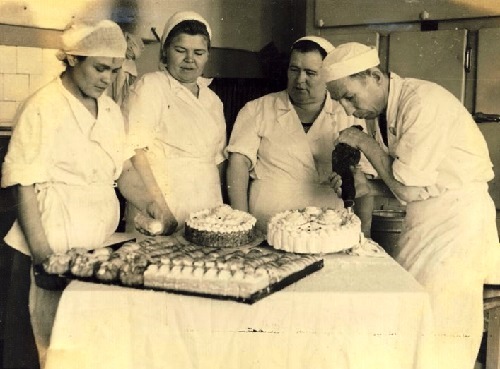 Full formulation of the anniversary cake kept secret.